I can only say this, masterpiece. Even if this were not produced by Martin Scorsese and even if this was not best role so far in life for so many cast members, this would still be masterpiece. Such attention to details, from wardrobe, car park, scenery to cast member accents and speech is astounding. Every fiber in every suite is at its place here and what is even more important story does not go very far from actual events that took place in those turmoil prohibition years and latter. 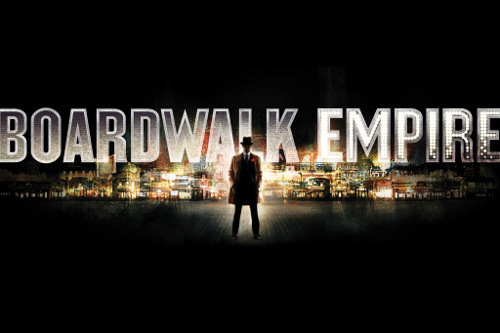 Bootleggers, hits, families, nasty mobsters and awful depression in this epic tv series. Five seasons of pure genius, one cant actually describe how good this series is, even if it misses your genre i give this all thumbs up. Most important decision about this show beside brilliant cast was to keep it as authentic and true as it gets. Steve Buscemi is main protagonist. He plays character Enoch Malachi Thompson or in short Nucky who is loosely based on former Atlantic City political figure Enoch Lewis Nucky Johnson. He is in short brilliant, even more so brilliant is ability to just act without doing too much or trying to look too eager which helped others who also did brilliant roles. After this series you will see faces of these actors when someone talks about Al Capone, Lucky Luciano and others from the era. That much good they were in cast and in performance. I will name some here but all deserve big, big thanks for doing this show. Michael Pitt plays James Jimmy Darmody, who went to WW1 directly from princeton while still kid. Upon return he does some little work for nucky before going solo. Kelly Macdonald does Margaret Thompson, young widow and mother. In turn of events she becomes Nuckys mistress, and later on in the show his wife. Michael Shannon is Nelson Van Alden aka George Mueller. Former Prohibition Agent on the run. Under the alias George Mueller, he is a bootlegger in the Chicago area working as the muscle for Dean OBanions organization, as well as Johnny Torrios organization. Shea Whigham as Elias Eli Thompson is Nuckys younger brother and former sheriff of Atlantic County. Now works as part of Nuckys organization, based on Alf Johnson. Aleksa Palladino as Angela Darmody plays Jimmys wife and the mother of his young son. Michael Stuhlbarg is Arnold Rothstein, powerful New York gangster who does business with Nucky. Charlie Luciano, Meyer Lansky and Benjamin Siegel work for him. Stephen Graham as Al Capone is violent Chicago gangster who is the right hand man of Chicago crime boss Johnny Torrio. Vincent Piazza as Charles Lucky Luciano who is a New York gangster and associate of Rothstein. Paz de la Huerta as Lucy Danziger which is Nuckys former mistress. Michael Kenneth Williams is Albert Chalky White, powerful African American gangster in Atlantic City. Anthony Laciura plays Edward Anselm Eddie Kessler, Nuckys assistant and butler. Paul Sparks is Mieczyslaw Mickey Doyle Kuzik, an Atlantic City bootlegger. Dabney Coleman is Commodore Louis Kaestner, Nuckys mentor and predecessor in Atlantic City, also Jimmys father. Jack Huston is Richard Harrow, former Army marksman who allies with Jimmy. Disfigured in the war, he wears a tin mask over half of his face. Gretchen Mol is Gillian Darmody, Jimmys mother and friend of Nucky. Charlie Cox is Owen Sleater, IRA volunteer who works for Nucky while also having an affair with Margaret. Bobby Cannavale plays Gyp Rosetti. Ruthless gangster who challenges Nucky. Ron Livingston plays Roy Phillips who is wealthy out-of-town businessman who finds himself getting involved with Gillian Darmody. Jeffrey Wright is Dr. Valentin Narcisse. Harlem based philanthropist and Doctor of Divinity, who has plans involving Nucky. Casper Holstein serves as the inspiration behind Narcisses character. Ben Rosenfield is Willie Thompson Elis son and Temple University student. Reason i mention all of them is, you have guessed it, they are all brilliantly subtle in their roles to be marked as great performances. Cast was bulls eye and after these boys and girls i mention above you will see faces of Mr. Stuhlbarg whes someone says Rothstein or Mr. Pizza upon hearing Lucky Luciano, lets not forget Al Capone and Mr. Graham, nailed it too. Maybe best was even Mr.Shannon with his weird agent character or even Eli, Mr. Whingham. Either way, must see expensive production gangster tv series that won bunch awards in its five season long run with head and tail. spa: "sorry on lenghth of post, but if i missed anyone i would be sorry, enjoy. Next one is two season wonder called Jericho..."
Solve this complex math: 9 + 7 = ?